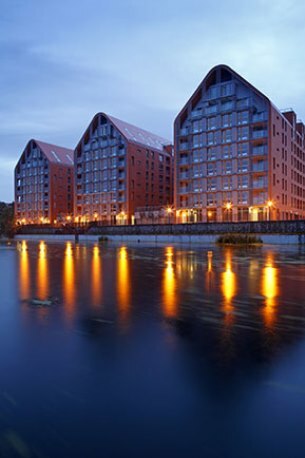 In Gdansk, Poland´s northern port city, ILDC purchased 10,000 sqm of land in the Aura Island project near the old city. This compound is surrounded by water canals on three sides and the homes overlook the canals. The project was built in 3 stages, including 390 residential units units in a total net area of approximately 26,000 sqm, and a commercial area of 1,425 sqm. The construction of the project was completed in 2018 and all the apartments were sold.